How to Get a Meeting with Anyone. Contact Marketing is a fusion of marketing and sales focused on opening doors to VIP prospects, resulting in critical sales and strategic alliances. Our logo illustrates the effect of having a handful of the right kinds of relationships, producing ripples that rapidly spread throughout the marketplace, creating a global scale and sphere of influence for your enterprise. Stu has been the SLMA's Humor Relations Contributor for five years. 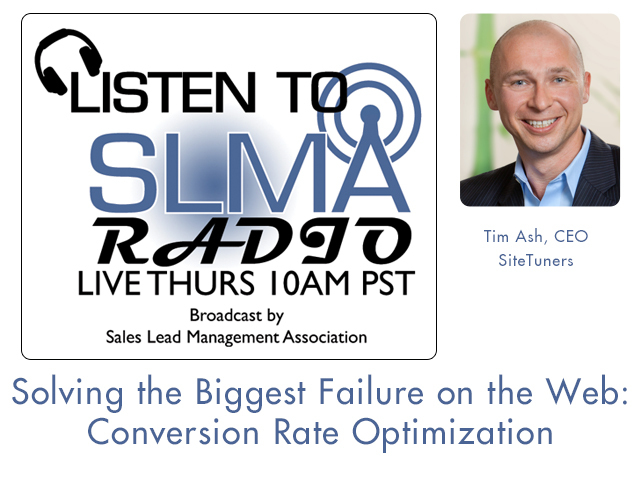 Tim Ash, noted author and conversion rate champion, tackles a subject that is a catastrophic failure for 95% of the companies that publish a web site, which is almost everyone. Or, everyone that counts. What earthly good does it do to have 5,000 visitors a month and ten leads? The host, Jim Obermayer interviews Ash and asks why companies go 99% there in building a web presence and leave off the 1% that will give them 90% of their success: website conversions that turn into sales leads. This is a can’t miss show. Tim Ash is the author of the bestselling book Landing Page Optimization, and CEO of SiteTuners (a firm that improves website conversion rate via conversion-focused redesign blueprints, landing page testing, and training of internal optimization teams). A computer scientist and cognitive scientist by education (his PhD studies were in Neural Networks and Artificial Intelligence); Tim has developed an expertise in user-centered design, persuasion and understanding online behavior, and landing page testing. In the mid-1990s he became one of the early pioneers in the discipline of website conversion rate optimization. Over the past 19 years, Tim has helped a number of major US and international brands to develop successful web-based initiatives. Companies like Sears, Google, Expedia, eHarmony, Facebook, American Express, Canon, Nestle, Symantec, Intuit, Autodesk, Yahoo! and many others have benefited from Tim's deep understanding and innovative perspective. Today, in addition to providing strategic consulting services, Tim is a highly-regarded keynote speaker and presenter at industry conferences worldwide including Internet Retailer, Search Engine Strategies, PubCon and countless others. He is the founder and chairperson of Conversion Conference and a frequent contributor to print and online publications such as ClickZ, Website Magazine, Visibility and others. Since 1995, he has authored more than 100 published articles. In addition, Tim is the online voice of conversion optimization as the host of the Landing Page Optimization podcast on WebmasterRadio.fm. Tim earned a dual-major Bachelor of Science degree "with highest distinction" in Computer Engineering and Cognitive Science from UC San Diego while studying on under a U.C. Regent's Scholarship (the highest academic scholarship awarded by the UC system). During his PhD studies at UC San Diego he also earned his Master’s degree in Computer Science. SiteTuners is a premier conversion rate optimization agency that has worked with more than 1200 clients worldwide since 2002. It provides support for high-converting website redesigns, landing page testing, and the training of internal optimization teams. CEO Tim Ash wrote the book on Landing Page Optimization, and founded the Conversion Conference. 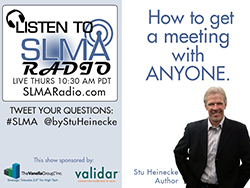 SLMA Radio Host Jim Obermayer interviews agency founder, president and author Russell Kern about is his up-coming book, The Eight Pillars of Demand Generation for Revenue Acceleration. In this interview Russell tackles the reasons for developing the Eight Pillars of demand generation and revenue acceleration. We will discuss how and why Russell ties revenue to demand generation. The "R Word" is finally coming into its own for marketers and as usual Kern is ahead of the herd in predicting how to get there. Whether he's putting together a strategic marketing plan or speed-walking around the office, greeting every employee who crosses his path, Russell is the heart and soul of KERN. He launched the agency in 1991 and has been helping clients such as DIRECTV, CLEAR, SAP and Symantec, achieve astounding results ever since. In fact, for Russell, moving the needle for companies is much more than a business objective, it's a true passion. 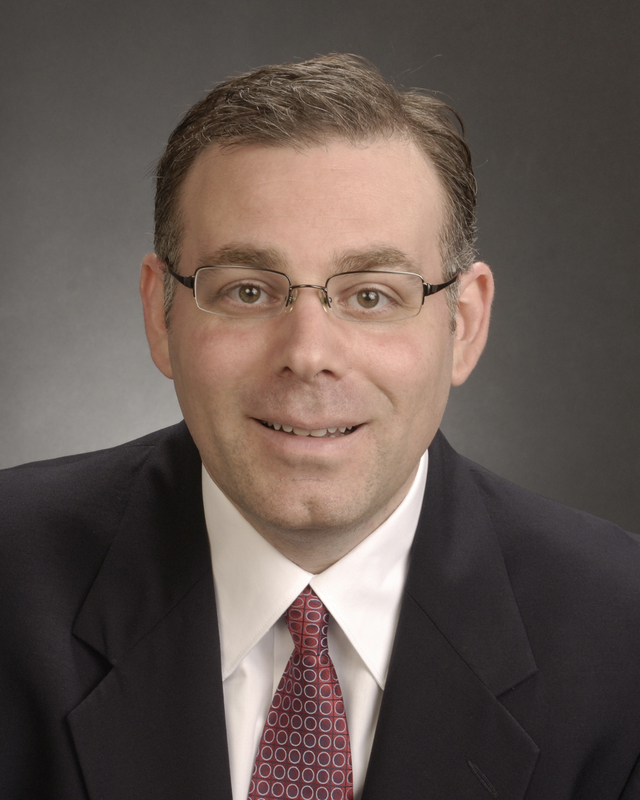 He often cites the core principles of the founding "masters" of direct marketing. After growing his agency into a response-generating machine, speaking at direct marketing events around the country and authoring the book S.U.R.E.-Fire Direct Response Marketing, it's safe to say Russell has become quite the master himself. Host Will Crist will ask Matthew why he believes traditional methods of demand generation are failing. What is collaborative buying? How does a marketing manager acquire the skills to influence buyers “before” contacting a salesperson? Matthew is a Social Marketing Executive and is co-founder of Social Gastronomy, LLC and the Social Executive Council. Prior to founding Social Gastronomy, Matthew has over 18 years’ experience as an executive in marketing, product management, and sales. Matthew has an extensive background in the SaaS Software, Social Media, Mobile, IT Services, and Telecom industries. He has prior entrepreneurial experience as a founder and executive in several early-stage venture-backed technology companies, as well as, holds several US patents for a mobile marketing technology. Matthew is a prominent blogger and regular industry speaker on social marketing and strategy topics. Buyer-Centric - Evangelize it. Live it. Enable it. The name Social Gastronomy℠ is a fusion of “Social Media” and “Gastronomy”. Gastronomy is blending of the art (culture) and science (methodology) of cooking. We leverage the art of social media with the science of BtoB behavioral target marketing for big, complicated purchases. The Buyer-Centric approach is quality maturity model that assesses and defines service quality, experience, and value from a buyer’s perspective. Across all BtoB markets, we are seeing a transformational fusion of marketing, sales, business development, and customer care from the buyer’s perspective. Are you Buyer-Centric? 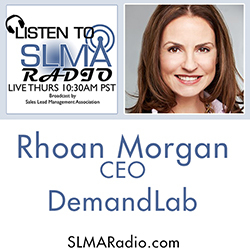 Are your company’s sales and marketing activities helping them make better buying decisions? Our Social Cookbook for Target Marketing℠ is a proprietary methodology that leverages public social networks and online communities for insight in order to identify and target difficult to reach buyers, enhance the customer acquisition process, build relationships with key market and complex sales influencers. The more complicated the buyer decision process, the better the results… hard to reach decision makers, large decision influencer committees, complex technical solutions, new product introduction and adoption, long relationship cycles; the better the impact we have on market development, customer acquisition, and lowering the cost of customer acquisition.